Client Ratings Lindsay Parsons has been rated by 72 clients. Without going too far from home, I was able to attend some great Universities. First, I went to Augustana in Camrose and received a Degree in Economics with a Minor in History and then I finished at U of L in Lethbridge and received a Degree in Commerce. I have found Edmonton to be a very affordable place to live over the years. I appreciate that my children will also benefit from the opportunities that I had growing up here. It’s comforting to know that as they grow, they can find diverse and great job opportunities here, keeping our family close! It also offers a small town feel but in a large city, with lots of green space, lots of Community and Sports leagues and year-round family-oriented festivals. Prior to Real Estate, I owned an Industrial Equipment Business; my wife and I also have enjoyed working together on our own developments and rental properties. I love understanding ‘how’ a Building was put together and the materials used. My clients appreciate that I’m able to offer a technical perspective on the homes we view. My wife is a very large part of my success, she really helps me to keep everything balanced; spending quality time with our family is a huge priority for us. We have 3 wonderful children and in the summer, we love to spend our time camping just outside the city, and in the winter, we really enjoy visiting the Palm Springs area. 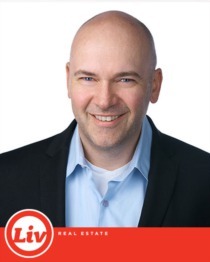 I never thought that my next career move would be through an advertisement that my wife found on Facebook, but that is exactly how I came to arrive at Liv Real Estate. Social media really does affect all areas of our life today, my wife thought that ad deserved further investigation. Il Pasticcio, my wife is Italian. 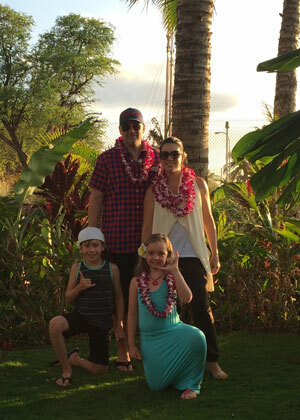 We took our kids to Maui; it was great to spend that time with the family it truly is paradise. I would love to go back every year if I could. Martin Luther King ” I have a dream” speech, President Kennedy “do not ask what your country can do for you, but ask what you can do for your country” speech… The 60’s in general as it was a shift in the way North America viewed life. James Bond (Sean Connery version) who was ever cooler than that? Plus he always reminded me of my father. If you could trade places with any famous person, living or dead, who would it be, and what would you do differently? President Kennedy – I’d take a scenic route that missed the Book Depository area. Things would have been a lot different. Lindsay Parsons was a delight to work with. He was extremely knowledgeable, and encouraged me to ask him anything, which of course I did as this was my first home-buying experience. I greatly appreciated his follow up after every step, and he sent me in the right direction on many occasions. Lindsay eased my worries about the entire process. I really enjoyed working with Lindsay on my first home, and I would recommend him in the future. My experience with lindsay is phenomenal. Very professional. He research every property we visited. The buyers tour document is a profe of the time and energy is put in to his work. Very knowelagable, and gives advice. Lindsay had my best interest in mind, all the time, also an amazing negotiator. Schedualing is real good, he was able to accommodate my time. I strongly recommend lindsay, because of his quality of work, Polite and an amazing persona to work with. To lindsay, I say thank you for helping me buy my first house. We requested to view a home we saw on Liv Website and was matched with Lindsay Parsons. 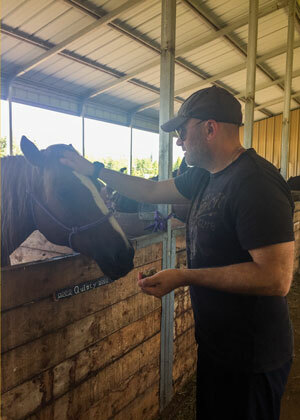 Upon our first meeting with him, he seemed very knowledgeable and genuine which allowed us to make a natural transition into working with him during our home search. Lindsay has been very approachable, humorous, knowledgeable, and overall amazing to work with. My husband and I were on opposite ends of the spectrum in some aspects, and Lindsay was incredibly patient through our entire process. In addition, coming from a construction background, I’ve experienced realtors attempt to seem knowledgeable, but Lindsay really knew his stuff & even pointed out things I wasn’t aware of. Once we found the home we purchased, all the proceedings were efficient & painless, the hardest part was patiently waiting for possession day! If you’re in the search for a realtor (to buy or sell) I wouldn’t hesitate to highly recommend Lindsay; we’ve already passed his name along to numerous people. From the bottom of our hearts, thank you so much Lindsay for finding us our dream home!